First published in EdTech Digest, July 12, 2018. I had the opportunity to visit a school district recently to chat with the district’s technology director. He showed me a metal crate in the district warehouse where retired edtech devices are kept until their recycling company collects them. With just a quick glance into the e-waste bin, I was caught by surprise. The bin had several Apple devices that still held significant value. This immediately reminded me of another district I worked with last year that had a storage closet full of Apple hardware that was worth tens of thousands of dollars and, sadly, were going to be sold to a recycling company for pennies a pound. With today’s tight technology budgets, this shouldn’t happen, yet it’s a scenario that replays frequently across the country. While recycling conjures up images of “going green” and being a good steward of the environment, school districts that recycle devices of value are missing out on the opportunity to be good stewards of their budgets and taxpayer money. 1. Recyclers don’t pay fair market value for devices. Recycling companies take used devices and strip them for scrap material and precious metals. With plunging prices for scrap materials, schools often are paid just pennies per pound for their devices. This means that schools with Apple devices, which maintain their residual value, could be recycling devices for under $1 that are potentially worth more than $100. In fact, it’s a common practice for recyclers to pick out these high value devices, wipe their memory, install the latest operating system, and sell them for a profit. 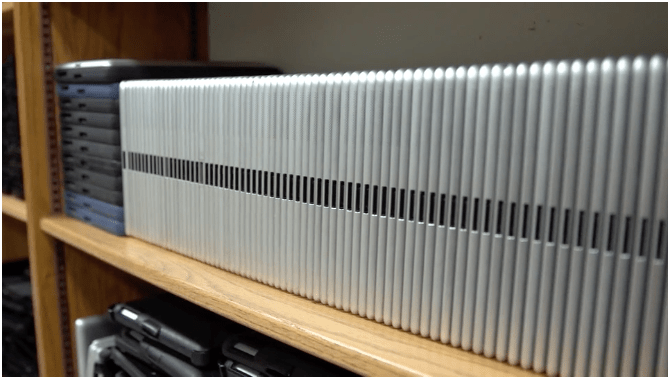 Large school districts may realistically have thousands of used iPads sitting in a warehouse worth as much as hundreds of thousands of dollars. By tapping the residual value of these devices and selling them to a trade-up firm, schools can recoup a sizable sum that can be used to purchase hundreds of new devices. 2. Recycling devices can lead to a poor learning environment. Schools that recycle edtech devices tend to use them well past their optimal lifecycle—often until devices are no longer functional—as they wait for the next round of technology funding. It’s not uncommon for these schools to use devices for seven or even 10 years, delivering a poor educational experience for students who can’t benefit from the latest software and teaching tools. It also can result in high repair and support costs and lost instructional time. By trading up devices, schools can get on a regular technology refresh schedule that allows districts to provide the latest technology for the classroom at a predictable annual cost. 3. Recycling devices is not financially sustainable. A cycle of using technology devices too long and/or recycling them is a costly practice because schools miss out on the ability to leverage the optimal residual value of current devices to offset the cost of the next technology purchase. By trading up devices instead of recycling, schools can time their technology refreshes to use the residual value of current devices to reduce the cost of purchasing the next fleet. Historically, I have found that there is enough equity in some devices after the second year to pay off the third and final year’s lease payment. The workflow involved in trading up devices doesn’t require much more effort than recycling. Instead of placing retired devices in a recycle bin, the school district simply needs to provide a list of devices to the trade up company in order to get a quote. Quality trade up companies will come on-site, box and palletize devices, then ship them to their warehouse. Once devices are inspected, the school receives a reconciliation report and a check for their devices. Most technology directors or district warehouse managers that recycle instead of trading up devices usually do so because it’s the way they’ve always done it or because they didn’t know there is an alternative. Now these managers can play an important role in helping district leaders become good financial stewards of their valuable technology assets. Trading in used technology devices allows schools to keep devices out of landfills while also benefiting from their residual value. Charles Duarte is VP at Diamond Assets where he works with schools to maximize the residual value of their Apple devices. He has taught grades 1, 2, 4, 5, and 6 and has implemented two different 1:1 digital learning initiatives while serving in a variety of district leadership roles. Write to: charles@diamond-assets.com.